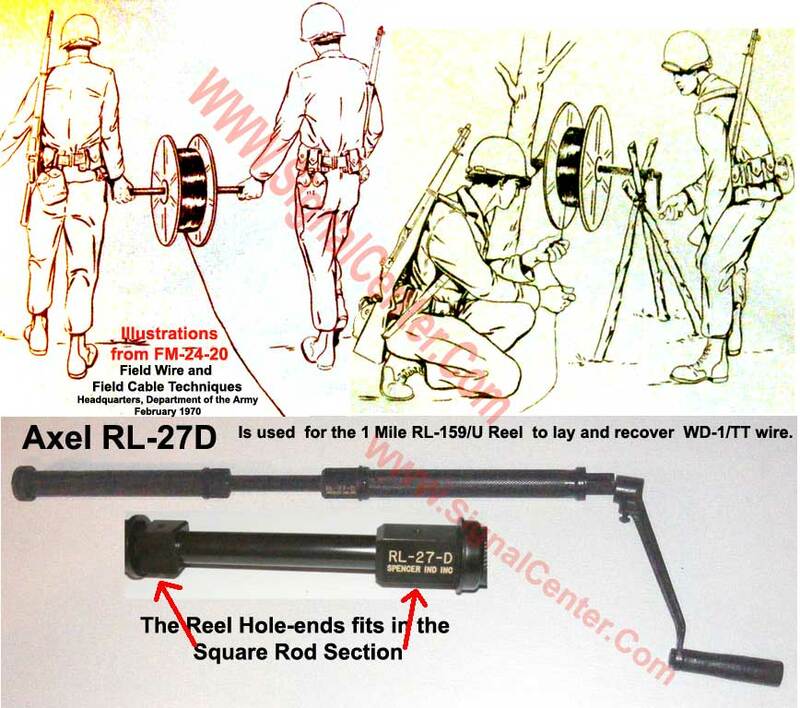 The one mile-reel RL-159/U is too heavy and cumbersome to reel out wire without the appropriate reeling machine -- it has a SQUARE Axel Hole. The least expensive reeling machine to use is the one 2 1/2 foot axel steel bar. It is normally a two-man operation, using the RL-27D. 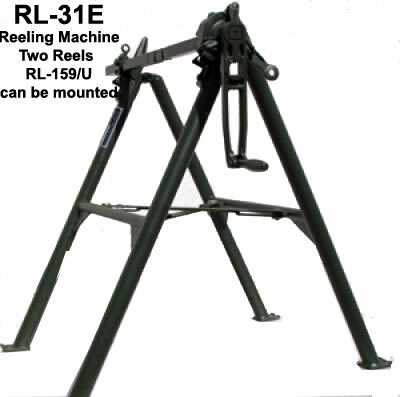 The more expensive RL-31E reeling machine can hold two RL-159/U one-mile reels simultaneously -- this usually is overkill for a small wire requirement. 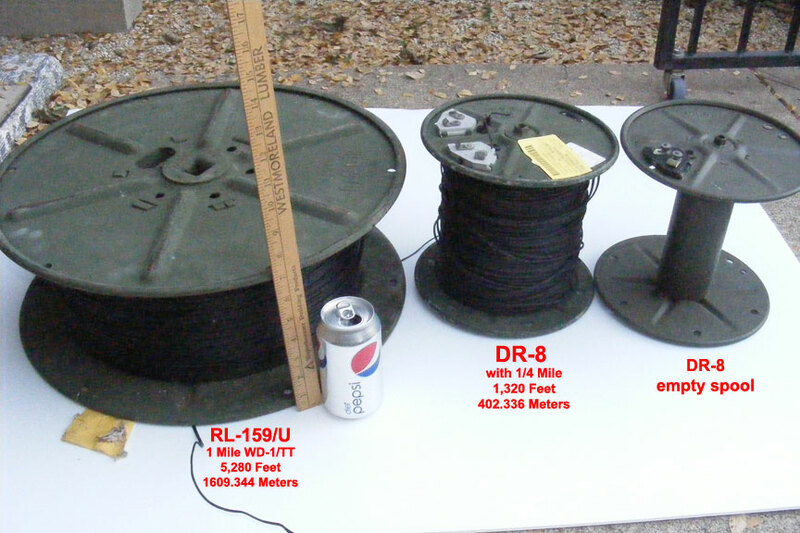 For smaller wiring requirements, the RL-39 reeling kits, incorporating the DR-8 spool/reels of 1/4 mile,are ideal -- great for recovering and relocating wire with minimum effort. These smaller spools also incorporate square axel holes. 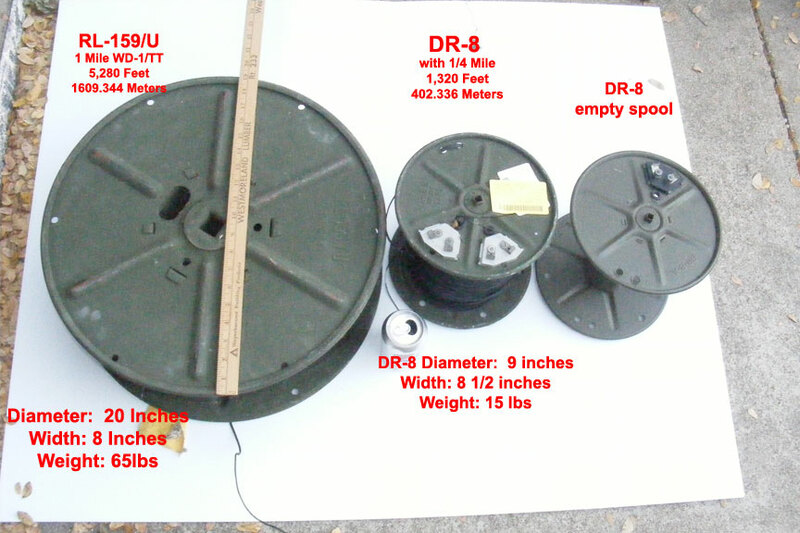 The DR-8 reel spool with a M-221 connector 9" x 9" with a 5/16" square center hole and 3" x 7 5/8" of wire space. 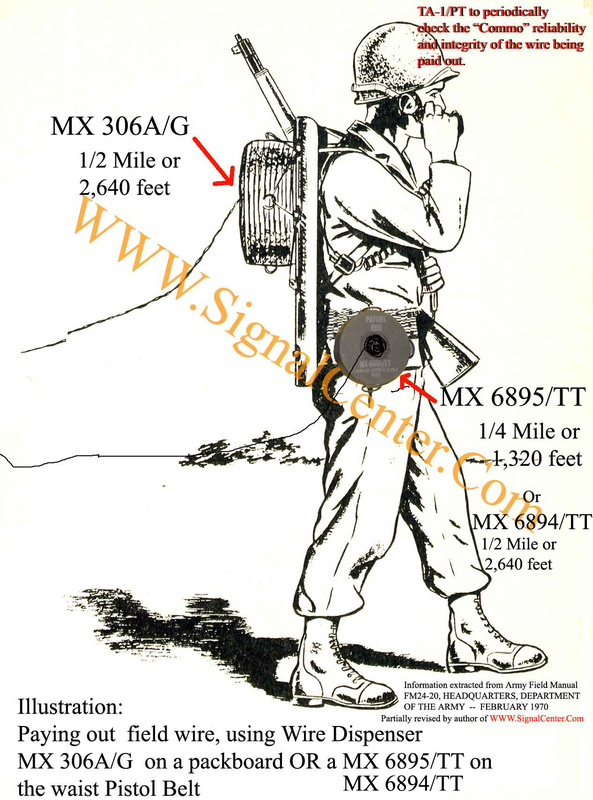 The wire space typically will hold 1/4 mile (1,320 ft) of the older WD-1/TT two strand wire. 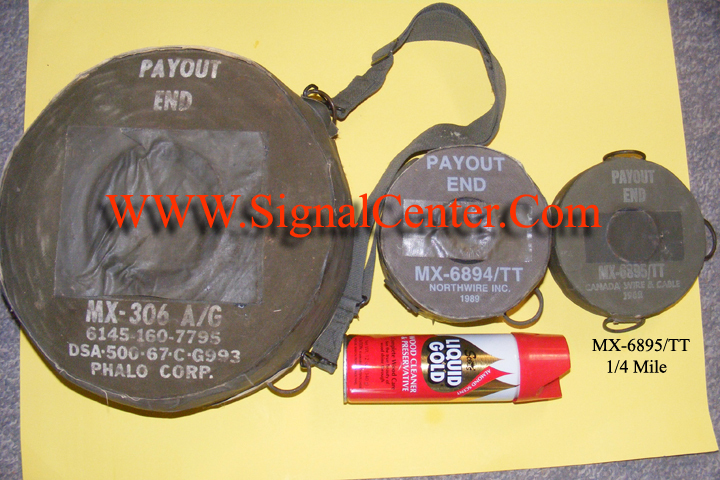 It will hold significantly more of the thinner WD-1A/TT and even up to a mile of the Cylindrical Canvas thinner wire WD-36/TT (MX-6894/TT & MX-6895/TT). 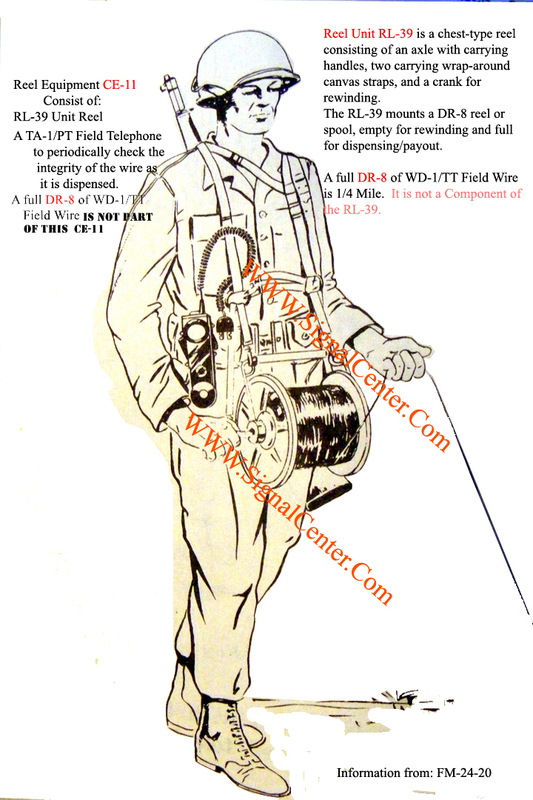 The RL-39 Reeling Maching facilitates despensing the wire (reel out) or retrieving it. Properly using the RL-39 Reeling Kit. 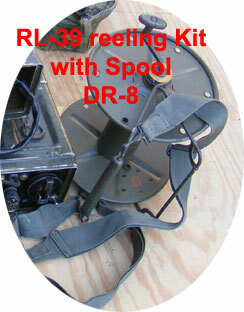 Question: I used the RL-39 reeling kit on Saturday . Reel works great. With one strap around each shoulder, it seemed like I needed something more to keep the straps from slipping . Are there other harnesses available , or some thing I could add to what I already have? Answer: Do not place straps around each shoulder. 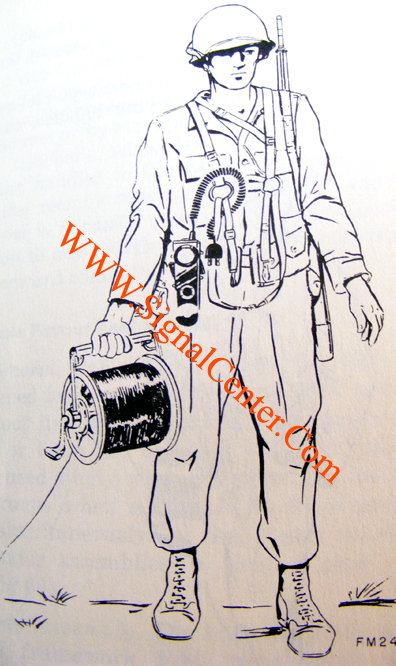 When recovering wire you have to fasten the ends of the upper Strap to the upper U-shape reel handle and place the loop of the strap over and around your head/neck. Slide the strap down and adjust its position so that the weight of the reel and spool of wire is distributed across your shoulders and back. Place the other lower strap around your waist and fasten snugly the ends of the strap to the lower U-handle to prevent a swinging action when you are walking. The lower handle should have the added wooden handle over the reel handle that will rest on your stomach or lower chest. To lay out wire you just hold both U-shape handles together in one hand while walking away as the wire unwinds -- don't need the straps.